Danusia is an actress, writer, and singer/songwriter. Busking It, a musical play Danusia writes and performs inspired by her 10 years as a London Underground busker, was originally developed at the RSC and went on to have a run at Soho Theatre, Shoreditch Town Hall and the Edinburgh Fringe 2018. Danusia is resident playwright with Tamasha and won last years Theatre503 International Playwriting Award (https://theatre503.com/writers/award2018/). She is also an alumni of Soho Theatre’s Writer’s Lab and was part of the Royal Court’s Shôn Dale-Jones Writer’s Group of five specially selected artists. 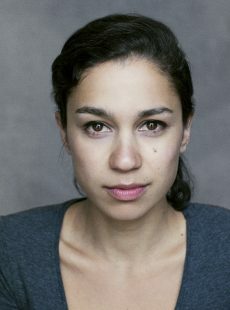 Other writing credits include Conditionally (Soho Theatre/Oxford School of Drama), Langthorne Stories (Soho Theatre, Waltham Forest), Las Americas Above(Chaskis Theatre) and her play OUT OF SORTS will be on at Theatre503 later this year. On the TV side she is currently being developing Busking It for TV with Guilty Party Pictures and has an original series in development with Eleven / BBC as part of this years BBC Drama Writers Room scheme.